THE JEW FIRST AND THEN THE WORLD! Our “It’s Supernatural!” television show airs across Canada and the world, including USA, Europe, Latin America, Australia, and Asia. Israel-our show airs 27 times weekly in 3 languages on secular and Christian television channels. Palestine-broadcast 10 times weekly on the most viewed tv station. 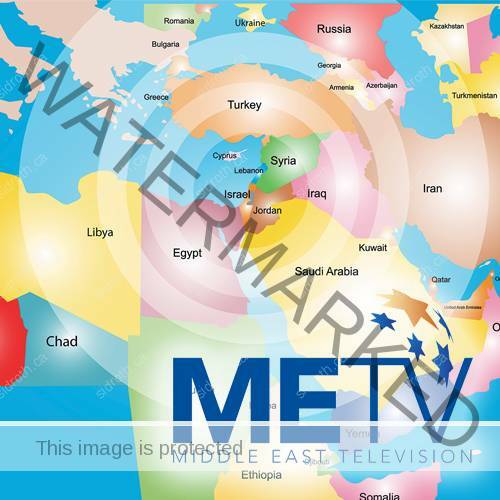 Middle East-broadcast to 25 countries on the recently acquired METV network and ISN. Russia and Ukraine-broadcast Russian and Ukrainian daily. 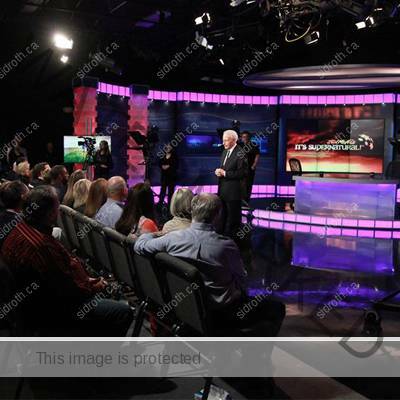 Canada-broadcast daily various networks such as Vision TV, The Miracle Channel, YES TV and Grace TV (Daystar). “They Thought For Themselves”, author Sid Roth – Over 1.5 million FREE copies of Sid’s evangelistic book have been mailed to Jewish people in North America through our Project 77! Our goal is to continue sending these books to reach more than 3 million people with this faith inspiring book which introduces Yeshua Jesus, the Messiah through testimonies of converted Jews! 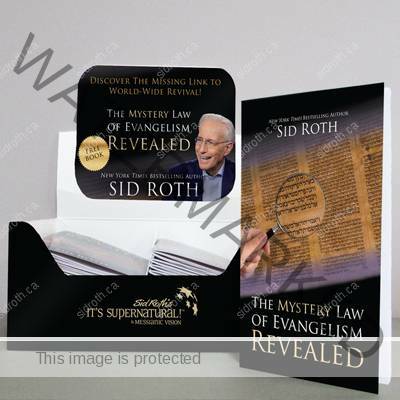 “The Mystery Law of Evangelism”, author Sid Roth – Over 1 million FREE copies distributed to Christians in North America. Our goal is to teach believers how to introduce Yeshua Jesus, the Messiah, to the Jew. Sid conducts “Lectures on the Supernatural” in Jewish communities throughout the world including Canada, Israel, USA and Ukraine. 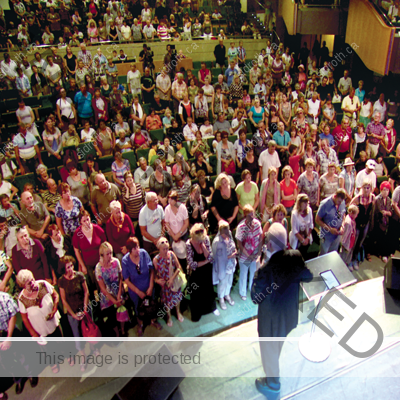 Large numbers of Jewish people attend and are saved. One outreach in Ukraine saw over 900 Jewish people make first-time decisions for Jesus! 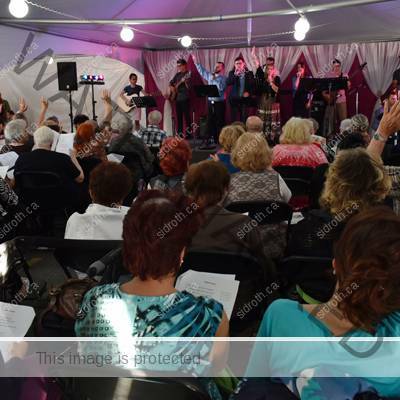 Recently, in Toronto almost 500 Jews accepted Yeshua, the Messiah. 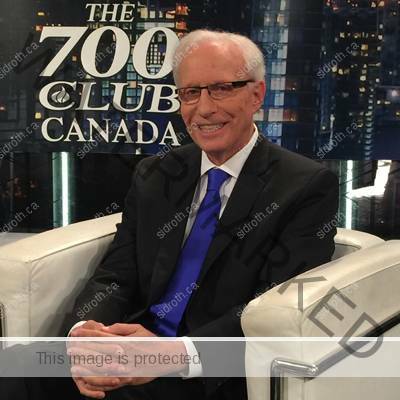 Sid Roth and Messianic Vision Canada continue to follow up with new Jewish believers after they have accepted Yeshua as their Messiah. Through follow up events, many miracles and healings continue to occur. Free high-definition “It’s Supernatural!” TV programs are now available on every computer and smartphone throughout the world providing 24/7 TV. Also, search “Sid Roth” and download our free It’s Supernatural! Network (ISN) app for iOS and Android devices. The app will allow you to watch our 24/7 online TV network on your phone or tablet. Our Canadian ministry is breaking all of our previous records for response. Calls come into our partner services daily from people across our nation searching for the truth about the Messiah, Jesus. Our staff provides encouragement, prayer and resources as needed to all people both Jewish and Christian. A 12-year-old Jewish boy in Canada who watches our show called to find out more information about Jesus. Sid Roth’s book “They Thought for Themselves” has been translated into Russian, French, Spanish and Hebrew. The Russian translation is being FREELY distributed to Russian Jews in Canada, Russia, Ukraine and throughout Europe. 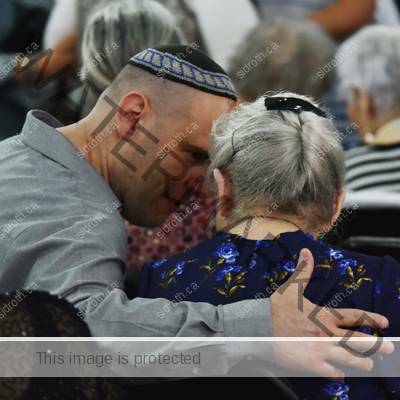 There are over 90,000 mostly unsaved Jewish households in Montreal, Quebec. Sid Roth’s French Evangelistic Book has been mailed to over 37,000 French speaking Jewish homes in the Montreal area. These books will be placed in their hands FREE of charge and will begin to soften their hearts to the truth about Messiah. Sid Roth and Messianic Vision Canada help you fulfill your purpose and destiny in life by monthly mentoring through our Supernatural Mentoring Kit. It features a treasure chest of supernatural life changing resources. As you join our “Family with the Supernatural Heart”, your monthly support helps make our television broadcast possible and helps us spread the good news of the Messiah. We have purchased the Middle East Television Network which will touch every home in the entire Middle East. 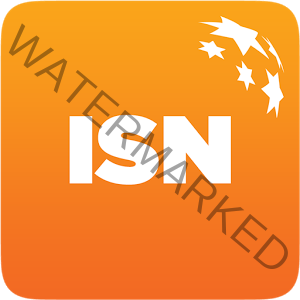 This network reaches a potential audience of 150 million viewers in 25 countries in the Middle East every day including Israel, Syria, Iraq, Egypt, Jordan, Sudan, and more. Our Ministry has websites in three languages; English, Hebrew, Russian. A website in the French language is currently under development in Canada.